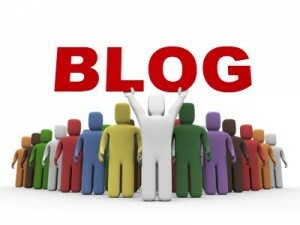 A selection of highlighted blog posts from Lean bloggers from the month of June, 2011. You can also view the previous monthly Lean Roundups here. Making Leader Standard Work Visual – Matt Wrye shares a visual management board for leader standard work. The Iceberg that Sinks Performance – Dan Markovitz talks about how lean concepts and tools tie into time management and individual performance with a simple visual representation. Lean Success – Art Smalley defines Lean Success in terms improving all types of processes AND concurrently obtaining actual results. Lean is an Attitude – Michael Balle says that Lean is about an attitude and Lean success overall is a factor of how many people in the company acquire this attitude. 6 Principles of Effective Lean – Steve Antonelli identified six principles that management must do to create a lasting and effective lean culture. A War on Waste – Tom Southworth describes four important steps – planning, communicating, selecting, and sustaining – that will enable you to wage an effective war on waste on your way to becoming a Lean enterprise. What Lean is Really All About – Jeff Hajek explains that Lean is more than a set of continuous improvement tools. Now Let's Graduate to Lean 404 – Paul Levy shares some thoughts on Lean management and organizational leadership. A Supervisor's Greatest Discovery – Bruce Hamilton shares a compelling story of a front line leader learning to see. The Fourth S: An Inflection Point for Success – Evan Durant says the 4th S, standardization, is the glue the holds the first 3 together. Highlight Problem Areas for Data Input – Matt Wyre shares a poka yoke for data input using a visual template. What I Learned from Almost Winning the Shingo Prize – Jeff Hajek shares a great lesson learned experience from submitting for the Shingo Prize that everyone can learn from. Jamie's Fables: The Peacock and The Thorn – Jamie Flinchbaugh takes a stab at writing his own fable repeated to exposing problems. Introducing Dr. Les Muda: The World's First Lean Healthcare Comedian – Mark Graban provides a creative piece that pokes fun at some Lean stereotypes in healthcare. How to Judge the Success of Lean? – Dan Jones explains that Lean success is measured by how much people have learnt so far and how ready they are to take the next leg of the journey. Lean Pretenders – Bruce Hamilton writes about going beyond just appearing Lean and really getting Lean. Continuous Improvement Projects: Expectations and Reflection – Kevin Gross talks about setting clear expectations and reflecting on your improvement projects. My Continuous Improvement - Stand-up Desk – Matt Wrye shares his stand-up desk improvement which provides a good example for everyone. What does it mean to Sustain? – Evan Durant takes a look at redefining what it means to sustain Lean efforts. Line of Sight, Employee Engagement, and Daily Kaizen – Mark Hamel talks about how a Lean leader can facilitate greater engagement. Thanks for including my post. Happy 4th of July. Great list. I'm honored to be included.